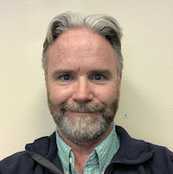 Daniel (Danny) Dunlavy is a Principal R&D Staff Member in the Scalable Analysis and Visualization Department at Sandia National Laboratories in Albuquerque, NM. His research interests include numerical optimization, numerical linear algebra, machine learning, data mining, tensor decompositions, hypergraph algorithms, text analysis, parallel computing, and cyber security. Klinvex, Alicia, Michael Wolf, Daniel Dunlavy, "Clustering network data through effective use of eigensolvers and hypergraph models," Presentation, Fourteenth Copper Mountain Conference on Iterative Methods, March 2016. Wolf, Michael, Alicia Marie Klinvex, Daniel Dunlavy, "Advantages to Modeling Relational Data using Hypergraphs versus Graphs ," Conference Paper, 2016 IEEE High Performance Extreme Computing Conference, September 2016. Crossno, Patricia J., Andrew T. Wilson, Timothy M. Shead, Warren L. Davis, IV, Daniel M. Dunlavy, "TopicView: Visual Analysis of Topic Models and Their Impact on Document Clustering," Journal Article, International Journal on Artificial Intelligence Tools , Accepted/Published October 2013. Acar, Evrim, Tamara G. Kolda, Daniel M. Dunlavy, "All-at-once Optimization for Coupled Matrix and Tensor Factorizations," Conference Paper, MLG'11: Mining and Learning with Graphs, August 2011. Acar, Evrim, Daniel M. Dunlavy, Tamara G. Kolda, "A Scalable Optimization Approach for Fitting Canonical Tensor Decompositions," Journal Article, Journal of Chemometrics, Vol. 25, No. 2, pp. 67–86, Accepted/Published February 2011.
ørup, "Scalable Tensor Factorizations for Incomplete Data," Journal Article, Chemometrics and Intelligent Laboratory Systems, Vol. 106, No. 1, pp. 41–56, Accepted/Published March 2011. Dunlavy, Daniel M., Tamara G. Kolda, W. Philip Kegelmeyer, "Multilinear algebra for analyzing data with multiple linkages ," Book, Graph Algorithms in the Language of Linear Algebra, December 2011. Dunlavy, Daniel M., Tamara G. Kolda, Evrim Acar, "Temporal Link Prediction Using Matrix and Tensor Factorizations," Journal Article, ACM Transactions on Knowledge Discovery from Data (TKDD), Vol. 5, No. 2, pp. 1–27, Article No. 10, Accepted/Published February 2011.